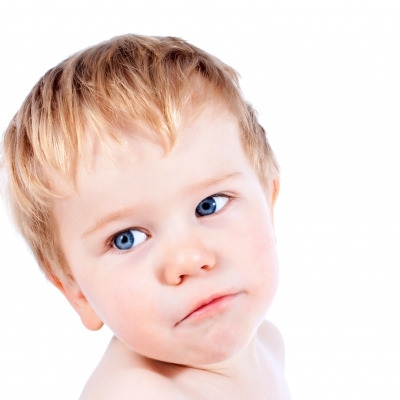 Have you ever noticed your happy go crazy toddler when he/she is suddenly rooted to one spot with a hard and reddening face and the house has suddenly gone all quiet? There is fair chance that your child is suffering from constipation. Some kids feel shy and awkward to talk about the pooping agonies they go through and as doting parents we have to identify these agonies and address them at the earliest. There is a clear difference between exclusively breast fed babies and formula fed babies when it comes to pooping. A baby who is exclusively breast fed would poop almost after every feed, the poop would be slimy to clayey and this habituates the baby to get the right kind of pooping habits after moving on to solids. Formula fed children on the other hand though would poop after every feed would have different consistency of poop. With time the pooping habit also would not be as regular as it is for a breast fed child. Although it is okay for your kid to go without pooping at a stretch for 4 to 5 days, it is advisable to keep an eye on his/her daily potty habits so that you can be sure if the problem really is constipation or some other digestion related problem or acidity and so on. If your child tries really hard to push out the poop and starts sweating with a pink to reddish hue on the face, then it is constipation. If your child?s poop is hard and you notice blood along with it. Once you are sure that your child has early symptoms of constipation begin with increasing his water consumption. For younger babies change the formula milk, for toddlers introduce soups and fresh juices and for elder children you can do the following. When you start solids to your kid make sure to add diet that contains a lot of fiber in it. Whole grains, sprouted ragi made to a malt, vegetables as salads, fruits, chick pea and so on. As soon as your child gets up in the morning give him one or two glasses of luke warm water and get him to the toilet. regular potty time make it easy for the system to work on a schedule and you would need no reason to worry later as your child grows up. Ensure to add one cup of curd in your child’s daily diet. This will enrich the digestive system with good microbes so that the harmful ones get pushed out of the system easily. You can also give the readily available probiotics as juices or powder and give your child once a week. Make sure that your child gets a lot of physical activity which will keep the colon on its toes and gets the poop out quickly. Kids get terrified of the poop time when they have constipation and this is where the role of parents becomes monumental. Support your child and encourage them to try. This may sound trivial but please remember this is also important for their well being. Keep assuring and reassuring them that this is a simple thing to do and that you will always help them. Gain their trust and the rest will be smooth in every way.